Bananas are not only a delicious snack that comes in a convenient natural package, they also contain plenty of nutrients that are essential to human health and support better digestion, promote heart health and even aid weight loss. One banana contains only about 100 calories and it mostly consists water and carbs, with very little protein and almost zero fat. No wonder they are one of the most popular fruits on the planet and are now grown in many parts of the world besides their native Southeast Asia. Bananas are essentially nature’s healthy candy, so instead of trying to defeat your sugar cravings with sheer willpower, eat more bananas to tone them down and maintain better overall health as well. In case you need a few reasons more to enjoy a banana every day, here are 6 sweet science-backed benefits of the regular consumption of bananas that might surprise you. A banana a day could keep asthma away. A new study at the Imperial College of London found that children who ate one banana per day experienced 30% less asthmatic symptoms compared to children who ate one banana per month. 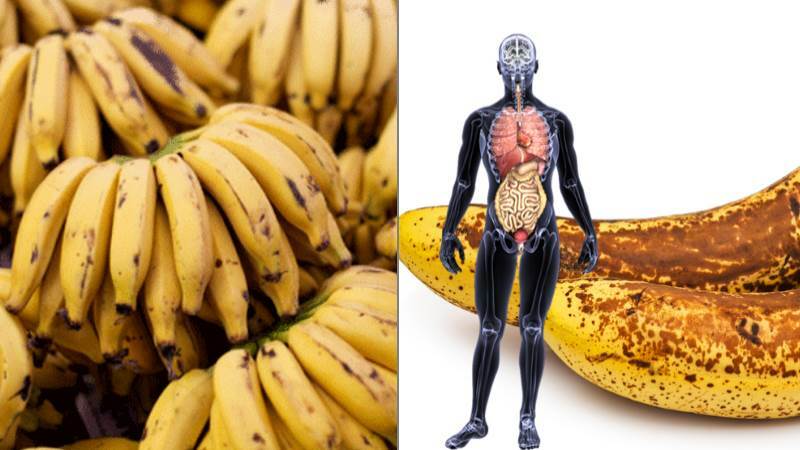 The high amount of fiber in bananas can help prevent many respiratory conditions from developing, or alleviate their symptoms at the very least. Some of the nutrients found in bananas, such as the fiber called pectin, help regulate blood sugar levels after meals and keep you feeling full for longer by slowing down the emptying of the stomach. In other words, not only that bananas don’t cause major spikes in blood levels of sugar and insulin, but their abundance of potassium actually lowers blood pressure very effectively. Since bananas are such an amazing source of fiber, they are great for normalizing bowel movements and maintaining bowel health. They also provide food for the friendly gut bacteria, which are a crucial part of a healthy digestive system. In addition, according to some studies, the pectin found in bananas may help protect against colon cancer. Finally, bananas slow down digestion, which can be of great help for people looking to reduce their calorie intake. These yellow fruits are often viewed as the perfect food for athletes because they contain plenty of fast-digesting carbs and important vitamins and minerals. Studies have shown that bananas are an excellent snack choice when eaten before, during and after endurance exercise, largely due to their ability to fuel the muscles, prevent dehydration and reduce muscle cramps and soreness. Bananas will help you build stronger bones, according to the University of Maryland Medical Center. Regular consumption of foods rich in potassium can help prevent osteoporosis and reduce bone loss, since potassium is an extremely important mineral for increasing and maintaining bone density. In addition, bananas also contain manganese, which is another vital nutrient to a successful prevention of osteoporosis. Potassium is also essential for heart health, especially in terms of blood pressure control and prevention against heart attack and stroke, according to the FDA. Numerous studies have shown that people who regularly consume potassium-rich foods have up to a 27% lower risk of heart disease. Related article: What is Eccentric Training?